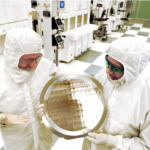 Earlier this year, Intel rebranded their Xeon E3 family as Xeon E(ntry). 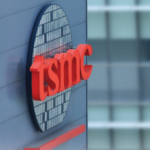 Similar brand changes were made last year with their Xeon E5 and Xeon E7 along with the launch of the Xeon Scalable family. At the time, just a few mobile SKUs were released. Today, Intel is launching the full desktop lineup. 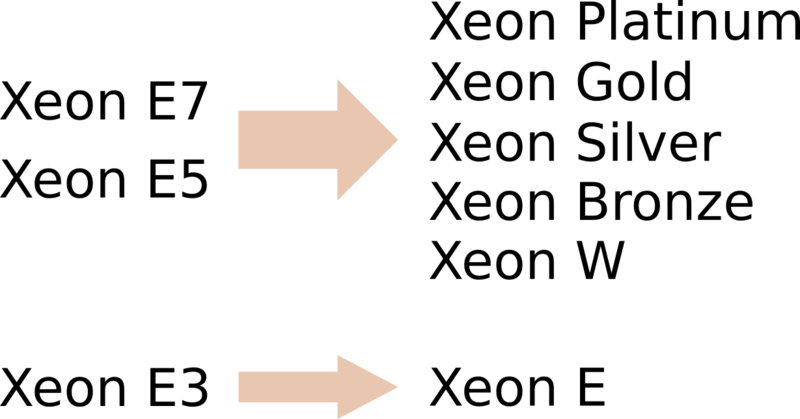 One thing to note about the transition shown above is that the E5 and E7 families all became brands that are based on the server microarchitecture. 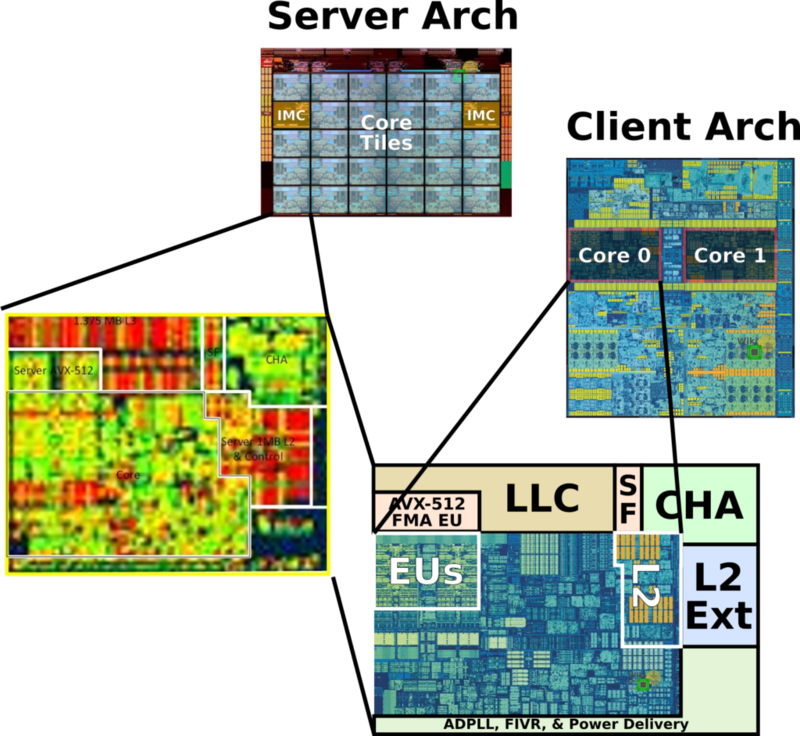 This is in contrast to E3 (now Xeon E) which currently remains exclusive to the client microarchitecture. The distinction is quite important because that ultimately dictates the available feature set. 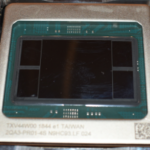 The new processors follow the same evolution as the mainstream desktop parts. The new Coffee Lake E parts are branded as Xeon E-2100 series succeeding the prior Kaby Lake DT parts that went under the Xeon E3 1200 v6 series moniker. 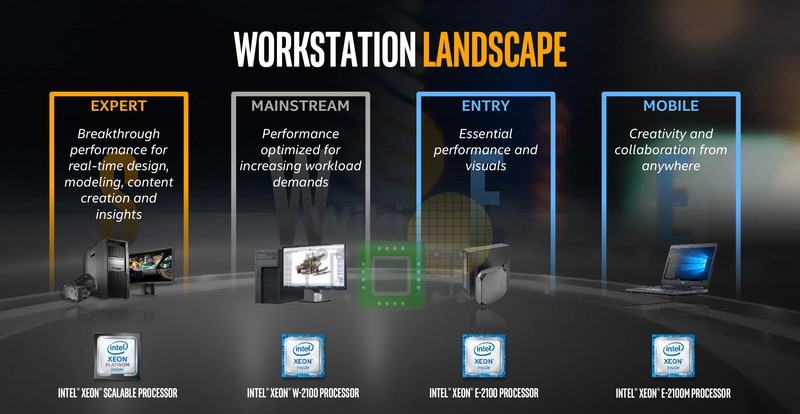 Intel positions those new models as entry-level performance workstation SKUs which means they are slightly below the Xeon W family. Xeon E remaining exclusive to the client die means the new SKUs are still based on the Coffee Lake microarchitecture, therefore they do not enjoy many of the features available in the performance-oriented Xeon W workstation processors such as AVX-512 and more PCIe lanes. 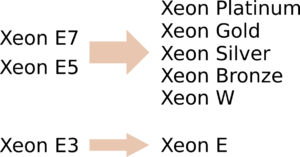 A somewhat unique advantage is that they, at least for ‘G’ parts, have an integrated graphics processor. 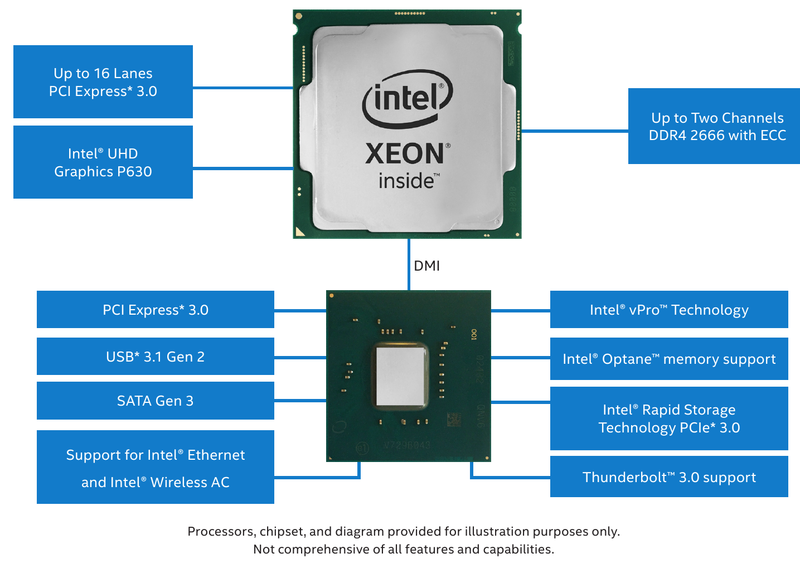 At least for now, the new Xeon E models follow a simple numbering scheme. Each mode comprises the series number, the performance level, the number of cores, and whether it has an integrated graphics processor. Although Intel has not announced any eight-core parts, what’s clear is that the naming scheme clearly has a convenient way to represent it. 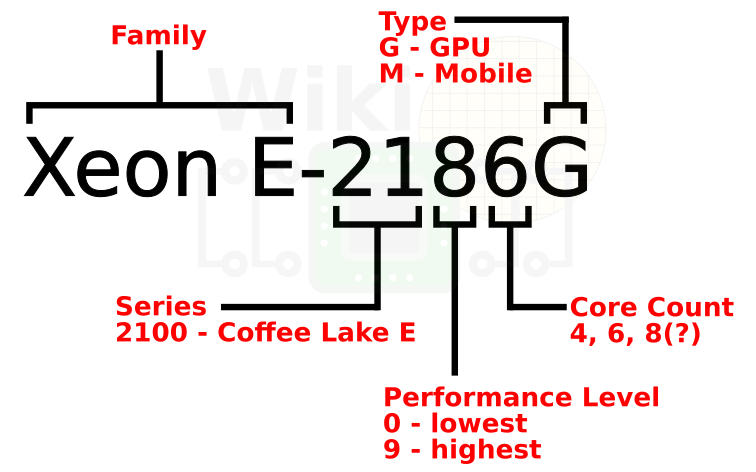 For example, the highest-performance eight-core SKU can be “E-2188G” or “E-2198G”. All the new processors are based on Coffee Lake which naturally means Intel is bumping up the core count to 6 with the new models. This does come at a slight cost. As expected, the base frequency for the hexa-core models is slightly lower while the base frequency for the quad-core models is slightly higher over equivalent models from prior generation (note those were all quad-cores). At the same time, Intel has pushed the single-core turbo frequency for all models, with the highest-binned part, the Xeon E-2186G, at a single-core frequency of 4.7 GHz. Ten new models are being announced. The models are practically identical to their mainstream counterparts (i.e., Core i7) but come with all features enabled – including ECC. The E-2176G is particularly interesting because it’s analogous to the Core i7-8700K which has identical base, turbo and power levels. What’s more interesting is the E-2186G which, due to its 100 MHz higher base frequency, makes it currently the fastest non-overclocked processor on the market (not including the 8086K). The changes are very attractive because the E-2100 and the high-end Core i7 parts are now fully interchangeable from a cost point of view, meaning those who prefer to not overclock their chip can opt for the “ECC option” instead for no added cost. Intel has provided us with the turbo boost frequencies for all the active cores. There are no real suprises here. The E-2176G shares identical per-core turbo frequencies with the Core i7-8700K, making it an excellent ECC-enabled alternative to those who do not overclock. The E-2186G has even higher turbo frequencies with 100 MHz higher than the E-2176G/Core i7-8700K for three and four active cores, making it the fastest non-overclocked processor Intel has ever released with that respect as well. The turbo frequencies for the rest of the lineup are just as solid. All ‘G’-suffixed models come with Intel UHD Graphics P630. Like prior generations, the ‘P’ can only be found on the Xeon parts meaning a select set of applications (mainly computer-aided design, engineering, and digital content creation such as AutoCAD and Photoshop) were certified by Intel for those GPUs and drivers. Seven out of the ten processors have integrated graphics. The base frequency is 350 MHz for all parts. For models with a performance level of less than or equal to 5 (see naming scheme above), the maximum frequency is 1.15 GHz. Everything higher has a burst frequency of up to 1.2 GHz. It’s worth noting that although those processors use the same FCLGA-1151 packages as the mainstream parts, they require the new C246 chipset. At the time of writing, there are actually no boxed Xeon E parts, so this should not cause any confusion. The chipset comes with 24 lanes which for some reason Intel decided to combine into “40” when referring to those parts. 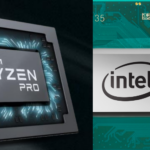 The 16 PCIe lanes that come from the processor are not the same as the 24 lanes that come from the chipset and it’s unclear why Intel decided to do this. The chipset has 6/10 USB 3.1/3.0 ports, 8 SATA 3 ports, and, like the other Cannon Point chipsets, there is wireless AC support which requires a companion RF (CRF) module to work.